What makes the Hue Dimmer Kit such a great value? Let’s break it down based on the kit as your first lighting purchase and the kit as an add on to your existing Hue bulb ecosystem. Smart lighting is expensive and we’re not remotely going to operate under any other pretense. When you can buy LED bulbs on sale for $1-2, the prospect of shelling out 10 times that (or more) for a single smart bulb and $80-200 for a multi-bulb starter kit, it’s a tough sell to suggest somebody should jump from such an inexpensive purchase to such an expensive one without motivation. The Hue Dimmer Kit is a perfect way to see if you’re even interested in more advanced lighting schemes in your house without breaking the bank and—we’re smart lighting fans, clearly—we think it’ll give you enough of a taste that you’ll find the motivation to expand your smart lighting system. The kit includes one Hue warm white bulb and one four-button dimmer switch. The arrangement retails for $34.95 (but if you frequent home improvement stores you’ll often find them in the neglected smart home section for $20-25’ish which is a steal). You can pull the switch off the plate with a firm tug and use it as a hand held remote or leave it on the wall all the time. 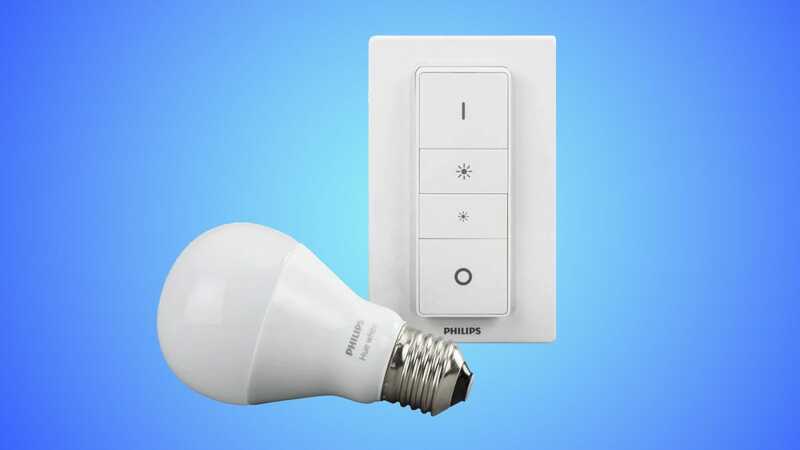 Either way, right out of the box, your Hue bulbs can be remote controlled for on, off, and dimming functions. As a stand alone purchase (or slightly expanded with a few extra warm white Hue bulbs), it’s a perfect and inexpensive way to see if you’d even be interested in more flexible lighting in your home. If you end up unimpressed the Hue platform is so popular you could just list the kit on Craigslist or eBay and get most of your money back. If it turns out you really like the flexibility the change brings, you can add a Hue Hub and additional bulbs into the mix for radically expanded functionality. What do you get with the inclusion of the Hue hub you don’t get with the base dimmer package? Here’s where the one weakness of the kit shows (and why, if you like using the kit, you’ll likely get a hub shortly there after): it’s only good on its own as a very fancy and easy to use remote for up to 10 bulbs. 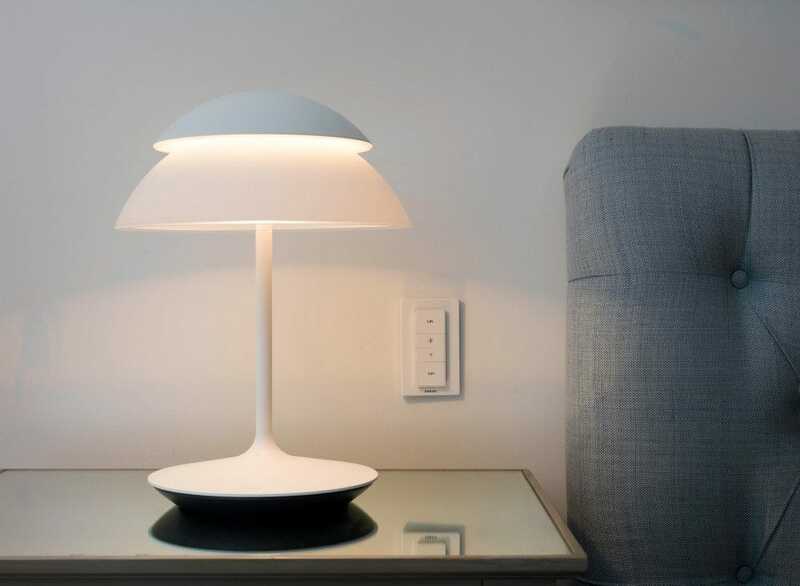 You can’t tap into the significantly more advanced Hue tricks like vacation lighting, sunrise simulations, automatic on/off based on time (and other factors like proximity to your home), remote access, and a slew of other features—nor can you use your phone to control your lights or integrate the switch directly into your Alexa or Google smart home system. For all that magic you need the hub. Regardless, though, it’s a fantastic (and cheap) way to start experimenting with flexible lighting in your home. If you already have a Hue lighting system in place and you don’t have a dimmer switch yet, well the, you need to buy one right now. Like don’t even read the rest of this section at all, just go and buy at least one dimmer switch (or dimmer kit if you want the extra bulbs) for every room in your house that uses Hue bulbs. No really, do it. Immediately. The Hue Dimmer Switch is the missing link in the perfect Hue system. 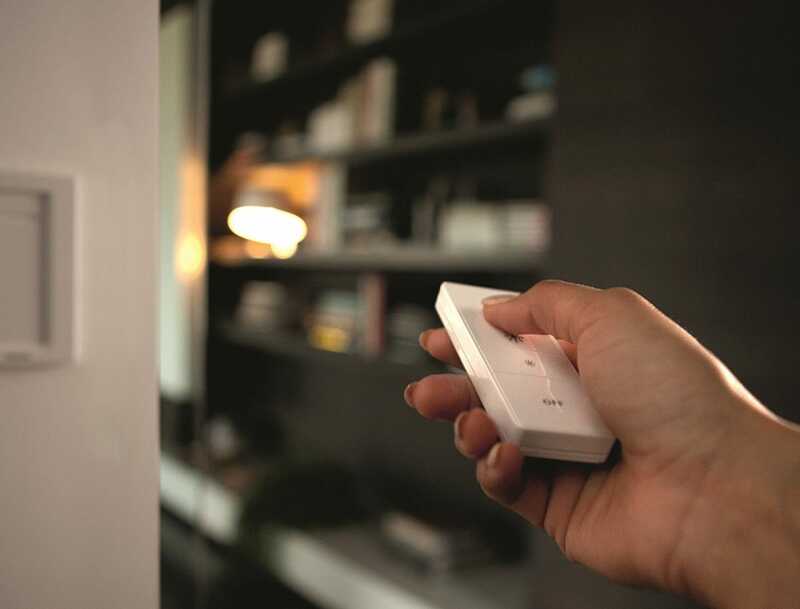 By connecting your Hue-enabled rooms to a physical switch not only can you easily control your lights without pulling your phone out of your pocket or yelling at your smart home system, but the whole experience replicates the traditional use of a switch on the wall to control your lighting system. Not only is that convenient for you, the home owner, but it’s also incredibly convenient for people that visit your home. You might be completely used to your phone-based lighting control, but guests won’t have access to your apps and even if you leave an old phone around to be the master controller for your lights it’s still not a natural work flow for most people. Trust us, your older relatives, friends, even the babysitter will appreciate a physical switch on the wall. 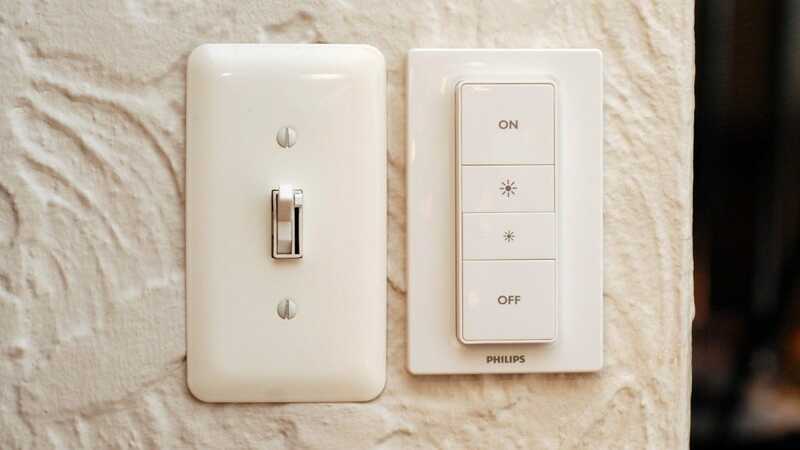 On top of that very practical reason, if you already have a hub and bulb system in place you can use the Switch to not just turn on specific zones and dim them but you can use long presses on the individual buttons to trigger specific scenes like a bed time routine or bright work lighting. 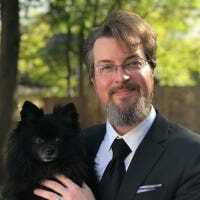 It gives you the ability to park your previously phone-based scene arrangements in a physical button and that’s more than a little bit awesome. Smart home lighting isn’t for everyone (yet!) but if you’re even the littlest bit interested in trying it out, we can’t recommend the Hue Dimmer Kit enough as an economical entry point that leaves room for additional (and easy) growth).